Sophia’s parents have lead quiet, unremarkable lives. At least that is what she’s always believed. Until the day she arrives at her childhood home to find her mother hanging from a tree in the garden. Her father lying in a pool of his own blood, near to death. The police are convinced it is an attempted murder-suicide. But Sophia is sure that the woman who brought her up isn’t a killer. 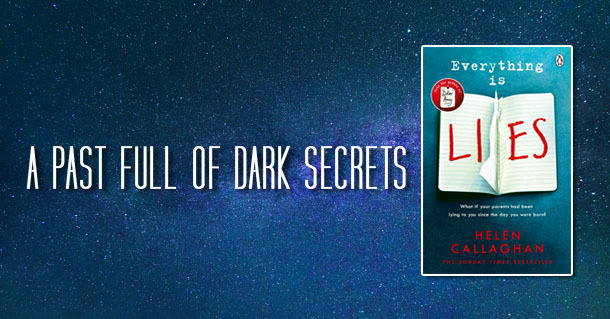 To clear her mother’s name Sophia needs to delve deep into her family’s past – a past full of dark secrets she never suspected were there. Helen Callaghan was born in Los Angeles, California, to British parents, and her early years were spent in both the US and UK. After several early false starts as a nurse, barmaid and actor, she settled into bookselling, working as a fiction specialist and buyer for a variety of bookshops. Eventually, she studied for her A-Levels at night school and achieved a place at Cambridge University as a mature student. Helen is the Sunday Times bestselling author of Dear Amy and Everything is Lies.